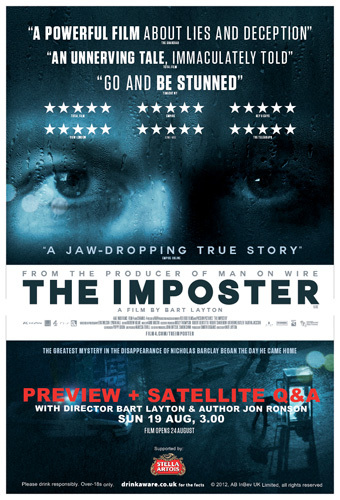 This month, Stella Artois is gave film fans the chance to win tickets to a preview screening of the highly anticipated real-life thriller ‘The Imposter’. The screening will also be followed by a special Q&A session with the film’s director, Bart Layton, and acclaimed author and filmmaker, Jon Ronson. The exclusive event will take place at the Hackney Picturehouse and will also be satellite broadcast to over 30 cinemas on Sunday 19th August at 3pm. Film fans have the chance to win tickets to attend via the Stella Artois UK Facebook page – the online home of the Stella Artois Cannes Cinema Club. To be in with a chance of winning, fans can click on a dedicated tab at the top of the Stella Artois UK Facebook page that will direct them to a short entry form. ‘The Imposter’ is British director Bart Layton’s feature debut and tells the unlikely but true story of how one Frenchman convinced a Texan family he was their son who had gone missing three years earlier. 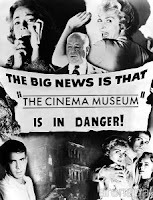 The gripping thriller has received rave reviews at Sundance, SXSW and SilverDocs Film Festivals as well as winning the Grand Jury Award at Miami International Film Festival and enjoyed five star reviews at its European Premiere at the Edinburgh International Film Festival this year. Stella Artois has launched a dedicated bursary scheme in association with Picturehouse Cinemas, which will help to support a series of standout industry events over the next six months. Designed to support exceptional film making and provide unique cinematic experiences the scheme reflects Stella Artois’ long-standing support of great film. The screening of ‘The Imposter’ and Q&A session will be the first in this series.